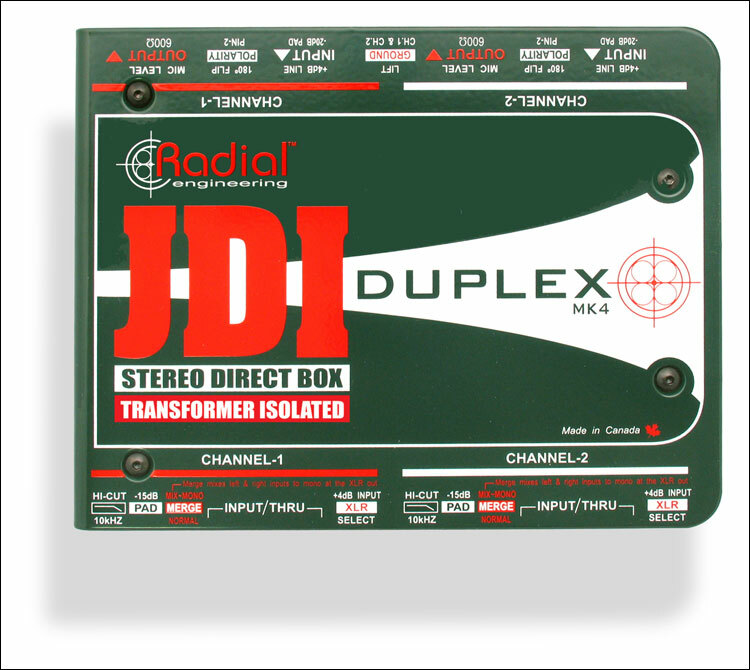 The JDI Duplex from Radial Engineering is a two channel version of the JDI passive direct box that converts hi-impedance instrument signals to two balanced low-impedance outputs, allowing long cable runs without noise. The unit is ideally suited for all instruments including keyboards, bass guitar and acoustic guitars for use in studio, broadcast and live sound reinforcement. Because of the transformers, the JDI provides 100% isolation between the instrument input side and the balanced output, eliminating hum and buzz caused by ground loops. Passive DIs that use inexpensive iron or steel core transformers can degrade sound through phase shift at various frequencies, a phenomenon known as group delay. This has the effect of making bass sound indistinct, causing the mid-range to smear and lack punch. The JDI employs Jensen transformers with a nickel-laminated core which do not retain a memory or polarity. This reduces phase distortion, improves linearity and lowers harmonic distortion. 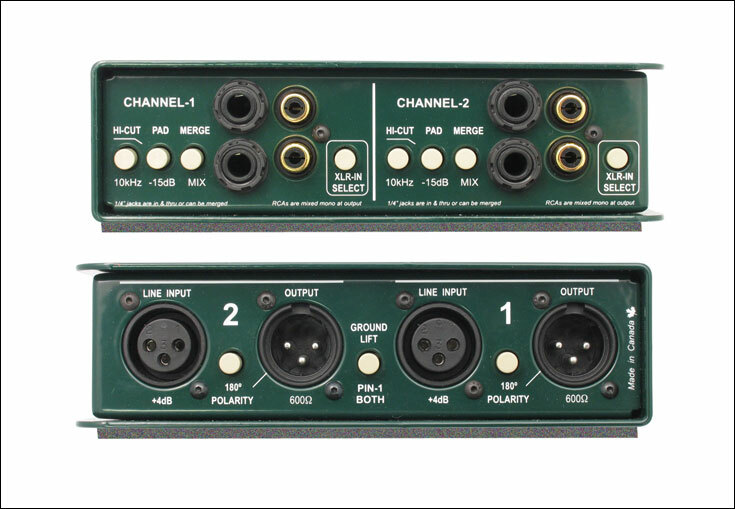 Each channel provides a 15dB pad for high level instruments to avoid input distortion. Merge switches convert the thru outputs to a second input, allowing two signals, such as those from a stereo keyboard, to be summed to mono when input channel availability is limited.